I admit it. I stole the idea for this story. I completely lifted the plot from the 1953 movie, “How to Marry a Millionaire.” As I was watching that movie one night on video, I was struck by the crackling, witty dialogue and how very “Regency” some of it sounded. The more I watched, the more I was struck by other similarities. What could be more Regency-like than a story about girls on the look-out for husbands? Rich husbands. So I took the three New York models and made them sisters. Lauren Bacall became Catherine and Marilyn Monroe became Susannah. I had to dump poor Betty Grable – two sisters were enough for my story. 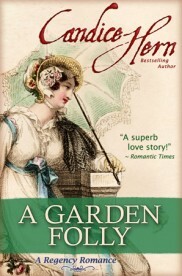 Instead of a gas-pump jockey who’s really a millionaire, Catherine falls for a gardener who’s really a duke. I used a composite of various actual estates and gardens as inspiration for the fictional estate of Chissingworth. 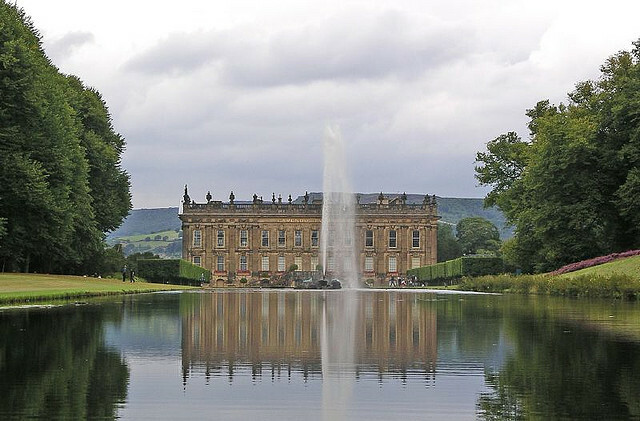 The house was inspired by Chatsworth in Derbyshire and Burghley House in Lincolnshire, both very grand estates, worthy of my fictional duke. The gardens were inspired by Chatsworth, Mount Edgecumbe in Cornwall, Stourhead in Wiltshire, and Chiswick in London. Soon after this book was originally released, I received several letters and emails from people, including a close friend, who said that I had described Chissingworth exactly as they remembered it when they had visited there. I hated to tell them that I had made up the place and they could only have visited it in their dreams! But it did make me feel good that my descriptions made Chissingworth seem like a real place.